Anthon carded only four out-of-bounds strokes at the Eureka Lake Temporary Course over 72 grueling holes. Paul McBeth, meanwhile, loaded down his scorecard with 18 penalty strokes, while Ricky Wysocki crossed the white lines 12 times. That difference led to a 10-shot victory and a $6,500 payday for Anthon, who coasted yesterday as his 7-under par 56 final round brought him to a 33-under par 219 for the weekend. 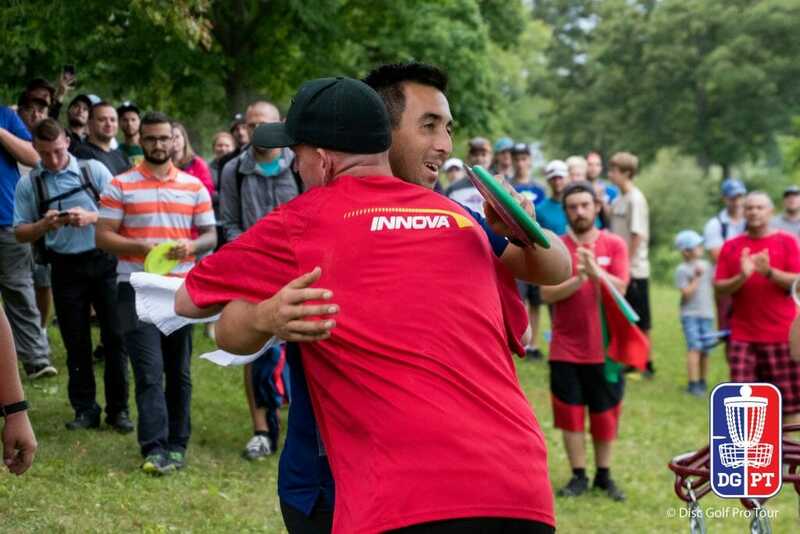 McBeth took home $4,500 and second place with a 23-under par 229, while Paul Ulibarri finished in third place and pocketed $3,500 after a 22-under par 230 performance. Wysocki battled not only the course’s confines, but also a bevy of spit-outs on the way to a 20-under par 232 for fourth place, while Nate Doss rounded out the top 5 after an 18-under par 234. Anthon averaged 1068-rated golf during the four-round event, a whopping 39 points above his current 1029 player rating. 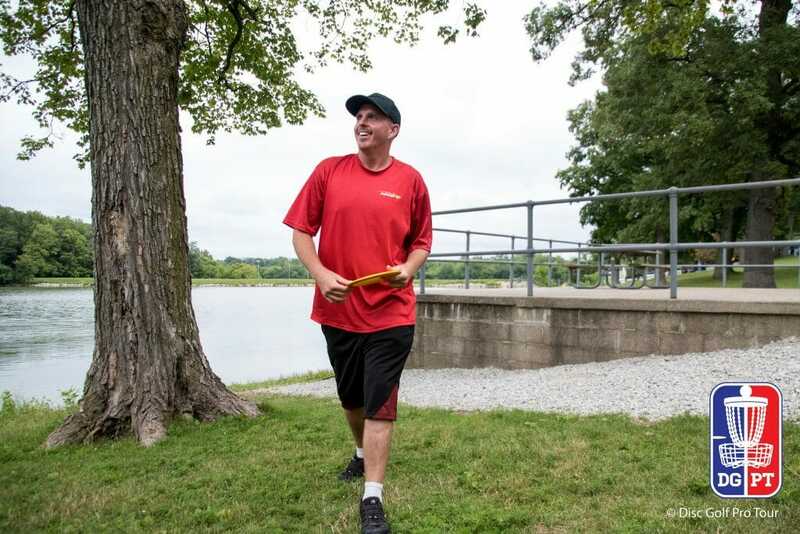 It marked his second A-Tier victory this season, but is arguably his most high-profile win since the 2011 Pittsburgh Flying Disc Open, which was a PDGA National Tour event that year. Now returning to premier tournaments after serving a prison sentence from 2014 to 2016, Anthon had a difficult time expressing his feelings about the long journey back to the top of the podium. Anthon said he’s surprised at how much the game has grown and changed since he last toured frequently, and he admitted to feeling the stress of taking on McBeth and Wysocki — even if that feeling was a familiar one. That admiration went both ways. Wysocki took the praise further and said Anthon was being embraced by the professional community. Anthon proved that from the beginning of play on Thursday and never ceased to compete. Whereas in recent events he has started strongly and seen his play tail off toward the end, he only seemed to improve with more exposure to Eureka Lake. Though he never replicated his 12-under par opening day, he doubled his lead after rounds two and three before waltzing to the finish. But to have Anthon tell it, he wasn’t employing a risk-averse course management strategy. Instead, he was playing the odds while testing the venue’s constricted boundaries. McBeth could never keep pace as he sought to claw back Anthon’s nine-shot lead. The 2016 Ledgestone Champion made what he called two “stupid mistakes,” throwing into the water twice on the first hole of the final round. He lamented his inability to control his tee shots and blamed it on a mixture of his own inaccuracies and the difficulty of the course. Wysocki was disappointed in his fourth place finish, as he’s struggled to recapture the form he used to dominate the PDGA Professional Disc Golf World Championships at the end of June. Even as he improved on his 2016 Ledgestone showing, Wysocki was contemplating taking a couple weeks off to regroup mentally. Since he has virtually locked up the Disc Golf Pro Tour points title, he’s already considering skipping the Idlewild Open on August 17. He was also trying to keep a positive perspective: He knows his struggles are cerebral and not physical, and the $5,000 tour points bonus eased the pain. Ulibarri, on the other hand, was pleased with his showing. He’s now notched seven top 5 finishes in the nine events since the Utah Open, leaning heavily on a revamped, more flat release to his putt. Still, he said that there were times he wasn’t sure how he would respond with the putter in crunch time, and it bit him down the stretch. If that’s the case, he’ll have a shot at a bye to the semifinal round of the Tour Championship in October. Ulibarri’s Ledgestone finish put him in ninth place — a single spot away from a bye — through six Pro Tour events, while Anthon is in 12th place. McBeth, meanwhile, climbed into third place, despite only playing three Pro Tour events. Elsewhere on the Ledgestone leaderboard, Cam Colglazier, K.J. Nybo, and James Cole tied for sixth place with 16-under par 236s to take home $2,133 each. Cale Leiviska rebounded from a difficult third round and climbed into ninth place with a 15-under par 237, and Peter McBride took 10th place with a 14-under par 238. Anthon now has his eyes fixed on the Pittsburgh Flying Disc Open, which he also won in 2003. Though he wasn’t banking on a third title just yet, he was adjusting his practice regimen — which already covers five days a week — to stave off a nagging injury. It helps to throw 10 fewer shots than the rest of the competition, too. 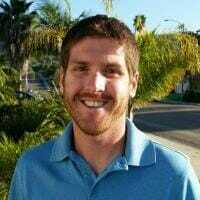 Comments on "Anthon Cruises To Double-Digit Ledgestone Victory"